Allison Tartalia's piano-based compositions are marked by unconventional arrangements, brutally honest lyrics, and a wry sense of humor. Based in New York City, she frequently tours, performing at clubs, colleges and festivals around the country. A classically trained pianist, Allison draws upon diverse influences to create her eclectic brand of orchestral chamber pop. The NY Times calls Allison a "singer with a sultry voice" and the Village Voice wrote "This native New Yorker's debut CD sounds legitimately more jazzy than folky--smack-dab in the Laura Nyro/Ricki Lee Jones/Sophie B. A classically trained pianist, Allison draws upon diverse influences to create her eclectic brand of orchestral chamber pop. The NY Times calls Allison a "singer with a sultry voice" and the Village Voice wrote "This native New Yorker's debut CD sounds legitimately more jazzy than folky--smack-dab in the Laura Nyro/Ricki Lee Jones/Sophie B. Hawkins lineage." Allison's first foray into musical theatre as composer and arranger, 1918: A House Divided, was produced by the Pulitzer Prize-winning Theater for the New City. An original cast recording was released in 2008. 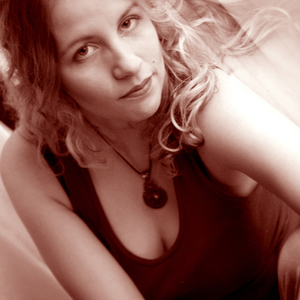 Tartalia frequently accompanies other artists as a keyboardist and vocalist both on stage and in the studio. Recently, she was nominated for an Emmy for music she co-wrote for the documentary 5,000 Miles From Home.